7.Vanes Yearly Output: Around 60000000 pcs. 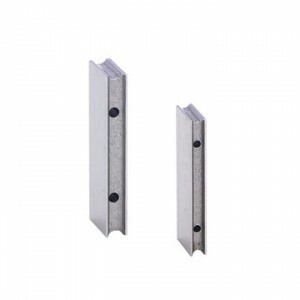 Anti-impact steel is stamped with a cold-rolled steel U-shaped groove, connected with the frame rails, automotive passive safety as the first barrier, anti-impact steel is absorbed and ease the external impact, front and rear protective body an important safety device. 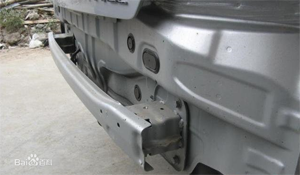 Because after anti-impact steel hidden inside the rear bumper, and many owners do not know is not installed after his car after anti-impact steel, it is not clear what role anti-impact steel in the end. Some crash after understanding the role of the owners of steel beams in order to install also racked up effort. We understand that there are car owners who spend more than 3000 yuan additional installation of a rear bumper beam. And usually put more bumper, but the outermost plastic parts. In many cases, it does play a decorative role. Really play a security role is to anti-impact steel inside the bumper. Normal thinking, bumper beams certainly should be equipped with two of the previous one, when people work in the rear, behind a single, effective when the rear-end people. Here that no rear bumper, in fact, that after the car did not anti-impact steels. Not installed after the car anti-impact steel, it did not play a role in the bumper. A perennial in the car repair master told us that not all cars have bumper beam. Part of car manufacturers in the hundreds of thousands of economy cars omitted after Paul bumper main purpose is to save costs, the pursuit of maximum profit. Once the rear-end accident, because there is no protection after anti-impact steel, rear of the car will be deformed too large, striking force will directly undermine rear of the car, causing the rear casualties. According to reports, China did not have relevant laws and regulations related to the post-anti-impact steels. Now only frontal crash test, side impact, but not involved in rear-end collision. The industry said that as important in terms of the car before the steel beams and the rear fender. Hydraulic vane motors are used in both industrial applications, such as screw-drive and injection moulding, and mobile applications, such as agricultural machinery. 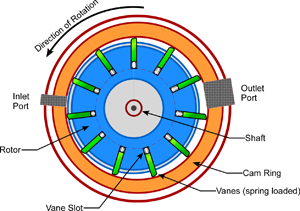 Hydraulic vane motors have less internal leakage than gear motors and are therefore better suited for lower speeds: about 100 rpm minimum. The maximum operating pressure of hydraulic vane motors is between 100 and 140 bar, and they’re used in both hydraulics and pneumatics. Steel is a metal alloy consisting mostly of iron, in addition to small amounts of carbon, depending on the grade and quality of the steel. Alloy steel is any type of steel to which one or more elements besides carbon have been intentionally added, to produce a desired physical property or characteristic. Common elements that are added to make alloy steel are molybdenum, manganese, nickel, silicon, boron, chromium, and vanadium. Alloy steel is often subdivided into two groups: high alloy steels and low alloy steels. The difference between the two is defined somewhat arbitrarily. However, most agree that any steel that is alloyed with more than eight percent of its weight being other elements beside iron and carbon, is high alloy steel. 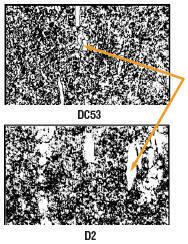 Low alloy steels are slightly more common. The physical properties of these steels are modified by the other elements, to give them greater hardness, durability, corrosion resistance, or toughness as compared to carbon steel. To achieve such properties, these alloys often require heat treatment. If the carbon level in a low alloy steel is in the medium to high range, it can be difficult to weld. If the carbon content is lowered to a range of 0.1% to 0.3%, and some of the alloying elements are reduced, the steel can achieve a greater weldability and formability while maintaining the strength that steel is known for. Such metals are classified as high strength, low alloy steels. 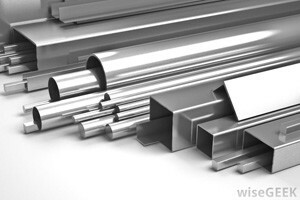 Perhaps the most well-known alloy steel is stainless steel. This is a steel alloy with a minimum of 10% chromium content. Stainless steel is more resistant to stains, corrosion, and rust than ordinary steel. It was discovered in 1913 by Harry Brearley of Sheffield, England, but the discovery was not announced to the world until 1915. Stainless steel is commonly used in table cutlery, jewelry, watch bands, surgical instruments, as well as in the aviation industry. Its familiar luster has also been appropriated for many famous architectural designs, such as the Gateway Arch in St. Louis, Missouri, and the pinnacle of the Chrysler Building in New York City. In all types of alloy steel, the alloying elements tend to either form carbides or compounds, rather than simply being uniformly mixed in with the iron and carbon. Nickel, aluminum, and silicon are examples of the elements that form compounds in the steel. Tungsten and vanadium will form carbides, both of which increase the hardness and stability of the finished product.